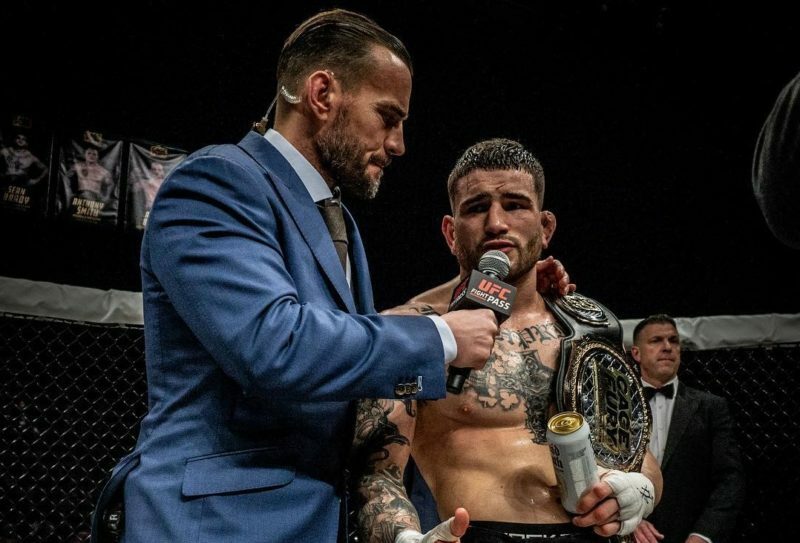 Atlantic City, New Jersey – On a very busy MMA weekend, East Coast regional stalwart Cage Fury Fighting Championship delivered one of the most action-packed cards of the weekend at Saturday’s CFFC 72, broadcast live on UFC Fight Pass. Some of the top talent in the US regionals was on display in the middleweight, welterweight, and flyweight divisions, including a stellar showing by can’t miss future UFC talent Sean Brady. We recommend checking out the entire event on UFC Fight Pass, including commentary by UFC & WWE star CM Punk. Read on for recaps and highlights from all the main card action. A record-setting CFFC crowd was treated to an MMA masterclass as defending welterweight champ Sean Brady (10-0, #198 World 170) dominated Ring of Combat champ Taj Abdul-Hakim (8-2, #310 World) for three rounds before taking him out with a ferocious assault early in round 4. Brady, 25, has dominated all comers – including a decision over TUF 16 champion Colton Smith – and he was similarly effective in the CFFC 72 main event against his game but outgunned challenger. Early on, Brady used skilled footwork to patiently stalk his retreating foe on the feet, where he prevented Abdul-Hakim from getting comfortable enough to unleash his potent kicking offense. As the fight progressed Brady became more aggressive, offering crisp offense highlighted by a series of right hands that sent Abdul-Hakim hurtling into the cage in round three. Meanwhile, the well-conditioned Abdul-Hakim circled relentlessly and offered range attacks whenever he could find an opportunity to plant-and-throw. While Brady’s striking looked sharp as ever, the Renzo Gracie Philly rep authored his most impactful work on the ground. Brady scored emphatic takedowns in all four rounds, scoring with increasingly potent ground strikes as the fight progressed. The prospect kicked it into overdrive in round 4, taking down and brutalizing Abdul-Hakim with a series of scary-looking punches that convinced the ref to jump in and stop the fight (possibly a hair early) at 3:30 of the fourth and final round. Overall this was a borderline flawless performance for Sean Brady, who avoided damage and enacted his will against an opponent known for finding the KO. 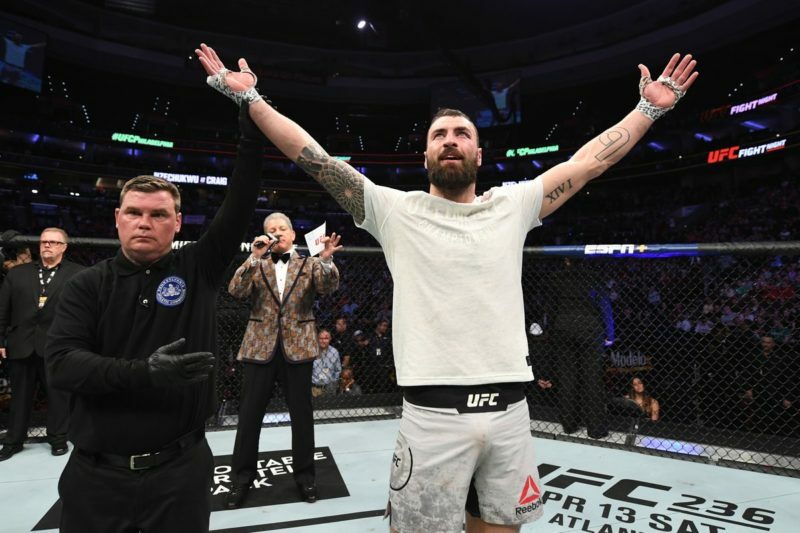 Post-fight Brady pleaded for a spot on the upcoming UFC Philly card; after such a polished series of showings from Brady, it’s inevitable that we’ll see him plying his trade in the big show sooner rather than later. Sean Brady's route to 10-0… Ground and pound. Undefeated Philadelphia native Kyle Daukaus (6-0, #325 World 185) authored a breakout performance in this CFFC middleweight title bout, outworking UFC vet Jonavin Webb (12-3, #96 World 170) for most of fifteen minutes before leaving him out cold on the mat at the round three bell. The 6-foot-3 Martinez BJJ standout faced a big step up after running through his first five regional foes, but he looked smooth and composed as he blasted Webb with power shots from southpaw stance. Webb, who jumped a class from welterweight for this short-notic185-poundnd title shot, succeeded at slamming Daukaus to the mat late in round one but couldn’t get much done against his much larger foe. After a contentious start, Daukaus finally got momentum on his side with a crackling left hand early in round two. With Webb momentarily stunned, Daukaus jumped on an anaconda choke but bailed after Webb threatened a kneebar. Daukaus defended effectively and made Webb pay each subsequent time that he attacked with his leglock game. Round three started with a brief stoppage for an accidental headbutt that caused a deep gash on Daukaus’ forehead. With blood streaming down his opponent’s face, Webb hit the gas pedal and charged into the clinch before surprising Daukaus with a back take. The big man did a nice job backing Webb into the cage, compromising the UFC vet’s attacking position and allowing Daukaus to quickly scramble to his feet. The wounded Daukaus now took initiative for himself, pressing forward with urgent combinations to body and head. When Webb tried to slow things with the clinch, Daukaus chucked him to the ground and fought hard to hold his man to the mat. For a third time in the fight, Webb tried to attack with a leglock from bottom but gave up his neck in the process. Daukaus took advantage with a D’Arce choke that left Webb completely out cold when he released the hold at the round 3 bell! This was a grade-A performance from Kyle Daukaus, 25, who was dangerous on the feet and proved his superiority on the ground against a high quality opponent in Webb. Not only will Daukaus take home the CFFC belt, with this win he’ll assume a place on the shortlist of top US middleweight prospects. 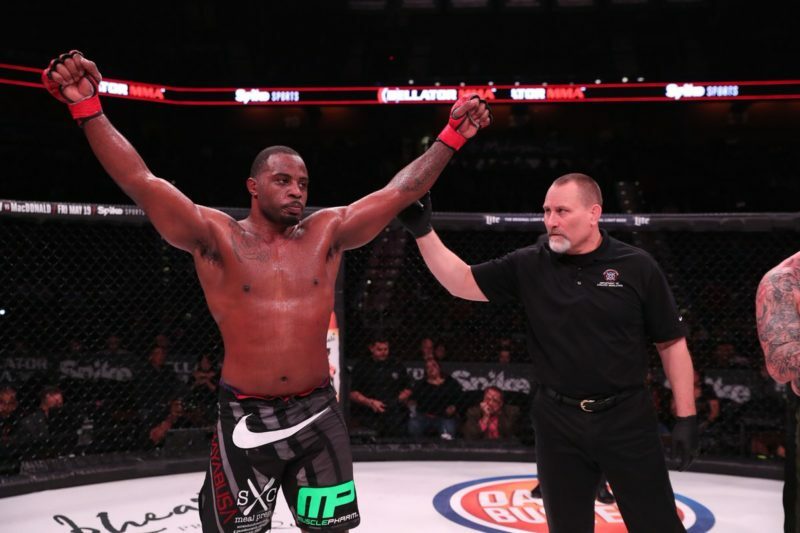 Next up for the fighting Daukaus family: a CFFC heavyweight title shot for big brother Chris Daukaus (7-2), who takes on Contender Series alum Zu Anyanwu for the belt at next month’s CFFC 73. Close call! Taking this one to the fourth round. "Goes to show, you never know what you're going to get here at #CFFC72." When Sean Santella‘s upcoming fight in Middle Eastern promotion Brave CF fell apart, the organization allowed him to instead take a bout in CFFC. That opportunity blossomed into a major spotlight fight as CFFC booked “Shorty Rock” opposite 21-year-old UFC alum Naoki Inoue (11-2, #63 World 125). The 5-foot-4 Santella (21-7-1, #48 World 125) showed his class from the get-go as he expertly darted inside Inoue’s range to land strikes. Striking skills aside, the American did his best work from back mount, which he secured in all three rounds and held until the final bell. Santella never came particularly close to an RNC finish, but he did a great job neutralizing the much bigger and younger fighter with grappling acumen en route to the straight 30-27 unanimous decision. Big win for Santella, who handled one of the top 50 ranked flyweights in the world and positioned himself for another major fight in Brave CF. Meanwhile, back to the drawing board for Inoue, who fell by decision for the second straight fight after losing a split to Matt Schnell at UFC Singapore last June. Before this fight, New Jersey’s Tommy Espinosa (6-2, #195 World 125) questioned whether Andre Barquero‘s brown belt-level BJJ skills would translate into North American competition. It didn’t take long for Espinosa to get his answer, as Costa Rica’s Barquero (6-1, #9 Latin America 125) used heady clinch work to attain back control and dominate position for nearly 10 minutes of the 15-minute contest. Forced to the mat, Espinosa couldn’t get his flashy kicking game going in the first two rounds but did show off good submission defense against Barquero’s RNC tries. The American finally showed some life in round 3, scoring with solid punches before finally withstanding and reversing one of Barquero’s takedown tries. Espinosa rallied late with nasty hammerfists and elbows that inflicted a massive cut under Barquero’s right eye and poured blood all over the mat. Despite the flowing gore, Barquero never lost his wits and ended the fight threatening an armbar from the bottom. Good enough for Andre Barquero to emerge with a 29-28, 29-28, 28-28 majority decision win that showed a lot about his ability to compete with solid North American flyweight competition. Seattle firefighter Joey Pierotti (11-1, #410) traveled cross-country for the biggest test of his career and put on a nice all-around performance in a decision of battle hardened Floridian David Mundell (10-5, #524 World). With a wealth of experience under his belt, including contests against Ed Ruth and Mike Perry (x2), “Redneck” Mundell came out swinging bombs. Pierotti thought better of trading as he forced clinch work once he ate a big shot from the stocky Floridian. Following a referee restart, Pierotti landed the biggest blow of the round, a nice right that sent Mundell’s mouthpiece careening to the canvas. Round 2 saw Pierotti switch gears and score a takedown, though BJJ brown belt Mundell did a solid job neutralizing damage. Pierotti briefly advanced to half guard until ref Liam Kerrigan stepped in for a second pretty quick referee restart (much to the chagrin of announcer CM Punk). Things got cooking late in the second as both fighters swung haymakers, with Pierroti again getting the better of the striking, and continued through a third round that saw both men trade punches and score brief takedowns. In the end, the decision was clear as all three judges sided with Washington’s Joey Pierotti by 29-28 scorecards. Athletic featherweight hopefuls Paul Capaldo (2-0) and Tyler Mathison (1-1) stood and traded leather throughout a competitive 15 minute match that started slow and increased pace late. After a close first frame, Capaldo landed the best shot of round 2 via a nice head kick in the fourth minute. Mathison finally forced a bit of a brawl in the final minute of the second with both men getting in licks. Nick Catone protege Capaldo finally pulled away in the third thanks to a sweet flying knee and some nice body work. Solid 30-27, 30-27, 29-28 unanimous decision win for Paul Capaldo in a fight where he and Mathison both looked like solid pros.